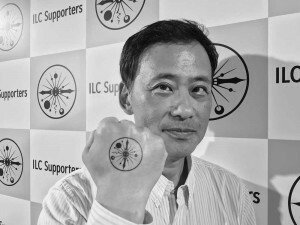 Kimura U explains the “ILC Supporters” movement. The ILC Supporters are a Japanese movement, and so many things about this group are particularly, to European and American minds sometimes exotically, Japanese. Take our ILC Supporter member and interviewee, for example. Her name is Kimura U and she is a designer. She is also, and notably, Japan’s “kawaii ambassador”– official if unpaid posts created by Japan’s Ministry of Foreign Affairs to spread culture through cuteness (“kawaii” means “cute”). “Kawaii ambassadors mingle cuteness and culture into one,” she explains , “and by doing so, the Ambassadors help people outside of Japan become interested in the country.” A look at her Instagram account confirms a lot of kawaii: pink, glitter, unicorns and extravagant frilly dresses… (and ILC). The ILC Supporters were founded in May 2018 as a group of people in Japan who want to realise the ILC. By the beginning of September, they had already amassed 202,309 followers and members through events and social media. The movement was founded by Mamoru Oshii, film director of world fame whose works include a number of popular anime, including Urusei Yatsura, Ghost in the Shell, and Patlabor 2: The Movie. “I understand the ILC is a machine to re-create the conditions of the Big Bang, the state of the birth of our Universe. I expect that the research to be conducted at the ILC will bring the maximum technology breakthrough ever in human history,” Kimura summarises. So the ILC Supporters organise events at which they talk about the science, the aims, the technology and the benefits of the ILC to a Japanese general public, using their celebrity status to create awareness and support for the mega science project. They take to social media to show off the specifically created (temporary) sign and spread the word about the project. That is also how she joined the movement: having always been into science and medicine, she often goes to see professors and ask them to show her their experiments in her private time, incognito with her job kept secret. “I never told anybody about my secret activity, but one day, Hiroaki Takeuchi, one of the founding members of the ILC Supporters, asked me to join. He is a great animation producer, and I always admired him, so I was very happy he asked. It felt like destiny. If you keep doing what you love, that will lead you to the place you love.” She thinks that the ILC supporters should communicate more in the community, and transmit many people’s passion.